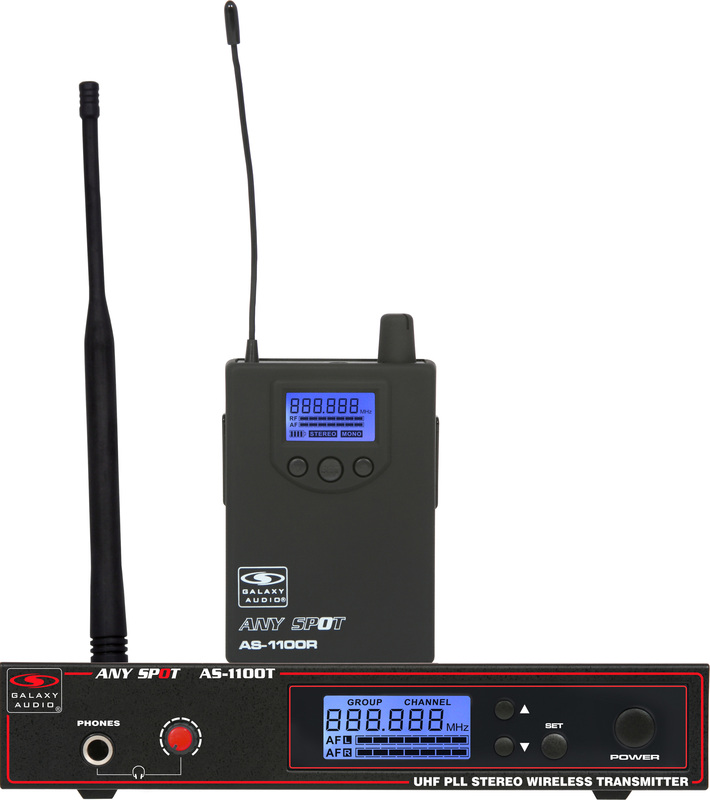 The AS-1100 packs an amazing punch. 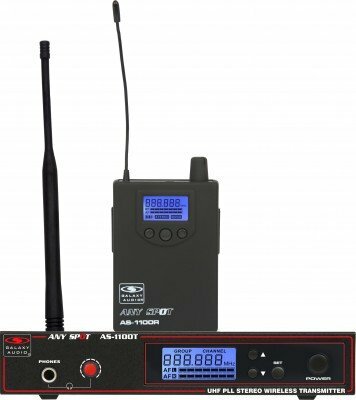 The transmitter has stereo XLR/1/4" inputs, headphone output, and LCD display which displays the channel and input level. The Receiver has an LCD with channel, battery level, and RF/AF indicator. The AS-1100 is perfect for anyone looking for their first system or to upgrade to the next level. 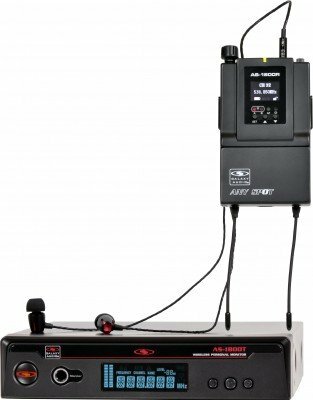 AS-1100 Wireless In-Ear Monitor with Standard EB4 Ear Buds: 120 selectable channels, includes 1 AS-1100T, 1 AS-1100R, EB4 ear buds, single/dual rack kit, antenna, and power supply. 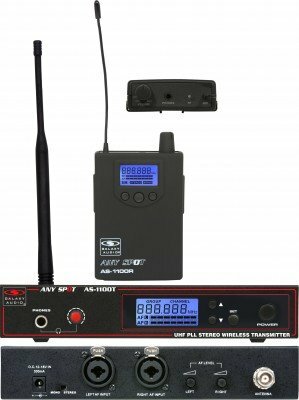 AS-1106 Wireless In-Ear Monitor with EB6 Ear Bud Upgrade: 120 selectable channels, includes 1 AS-1100T, 1 AS-1100R, EB6 ear buds, single/dual rack kit, antenna, and power supply. 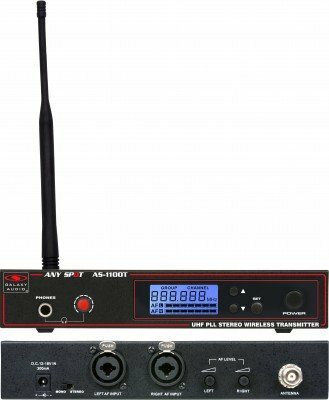 AS-1110 Wireless In-Ear Monitor with EB10 Ear Bud Upgrade: 120 selectable channels, includes 1 AS-1100T, 1 AS-1100R, EB10 ear buds, single/dual rack kit, antenna, and power supply. 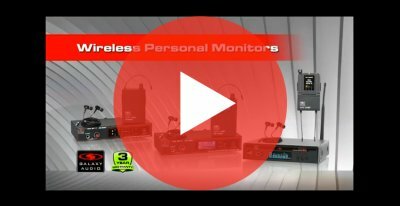 PROFESSIONAL DUAL DRIVER EAR BUDS: Upgrading your Earbuds can be a great improvement to your wireless monitor system or media player. 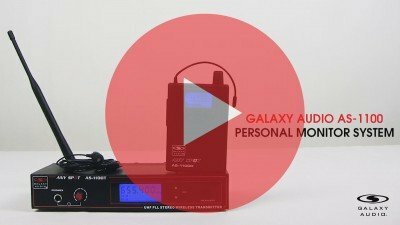 The Galaxy Audio EB10 is a dual driver system. It has two built-in transducers and a passive crossover in each earbud. 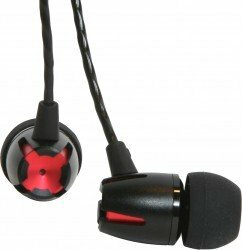 They provide Hi-Dynamics, Hi-Definition, and Low-Noise to yield accurate audio reproduction. 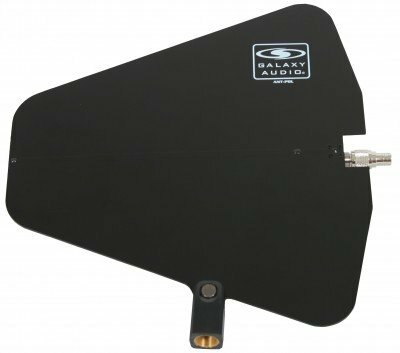 The EB10 has a standard 3.5mm stereo jack, allowing it to be used with any brand of Wireless Personal Monitor or Digital Media Player. The EB10 incorporates dual performance drivers and built-in crossover. 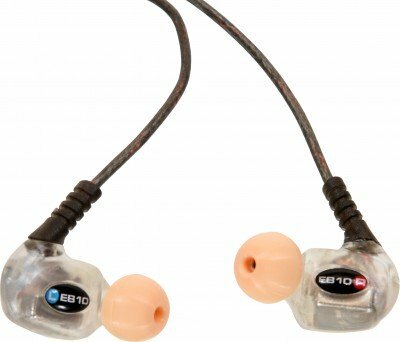 The EB10's lightweight ergonomic design assures excellent sound isolation and maximum comfort during periods of extended wear. The EB10 comes with a Silver Plated cable with a Gold Plated connector. The EB10 has a MAX Power Input of 150mW and a Sensitivity of 120 dB/mW. 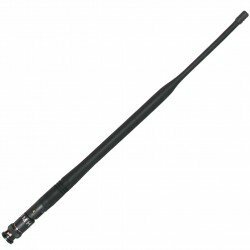 The EB-10 has a cable over 4 feet long and the ear buds weigh 7g (0.25 oz; excluding cable). The EB10 includes zippered carrying case with a cleaning rod and three pairs of Silicon Sleeves (small, medium and large). Allows musicians to monitor their mix with full detail. 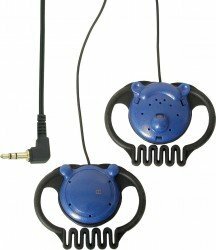 Design assures excellent sound isolation and maximum comfort during periods of extended wear. Three different sized pairs of silicon sleeves are provided for best fit and sound isolation. The EB6 features a single driver delivering full frequency performance. The EB6 has a cable over 4 feet long and the earbuds weigh 6g (less than 0.25 oz; excluding cable). The EB6 includes a durable plastic carrying case with three pairs of Silicon Sleeves (small, medium and large). 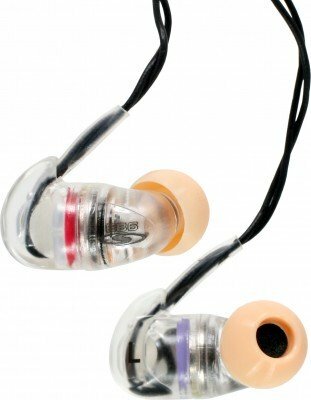 Wideband Dyna Driver earbuds reproduce the full frequency range with natural mids, full highs, and rich bass. They allow musicians to monitor their mix with full detail. Ergonomic mechanical structure ensures long time, low fatigue use. 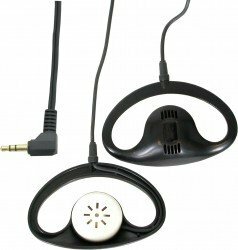 FIXED EAR CUP-BLACK Ear cup wraps around ear with 1/8" - 3.5mm Jack. RUBBER EAR CUP-BLUE Ear cup has rubber to wrap around ear for a more comfortable fit. 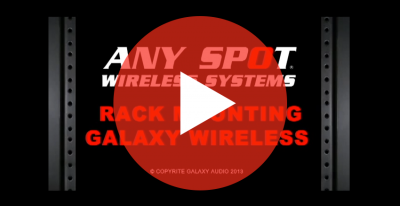 Replacement BNC Antenna for use with Galaxy Audio Wireless Personal Monitors and Wireless Microphones. Power supply for AS-900T, AS-1100T, AS-1400T, VESR, VSCR, ECDR, EDXR, ECMR, PSER, DHTR, & DHXR. Universal Power Adaptor. 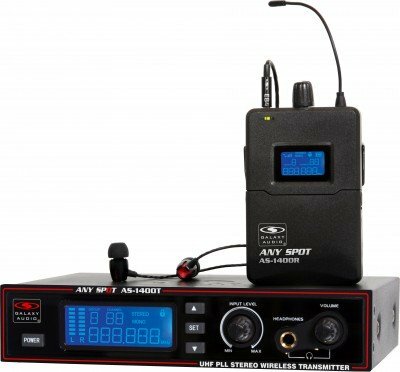 The AS-UA12-14.5 supplies 12V DC at 1000mA to Our Wireless Microphone & Monitor systems such as the DHT, DHX, DHTRQUAD, DHXR4, PSE, ECM, ECD, EDX, AS-900, AS-1100 & AS-1800 using the common 5.5mm barrel plug with center positive. The (UPA) comes with 4 different AC plug adaptors, and will accept any input voltage from 100 to 240v AC, 50-60Hz, which means it will work in nearly every country on the planet. Converts Systems To Accept 230 VAC. Single and Dual Rack Mount Kit, includes 1 long rack ear, 2 short rack ear, 2 coupler plates, and assorted screws. 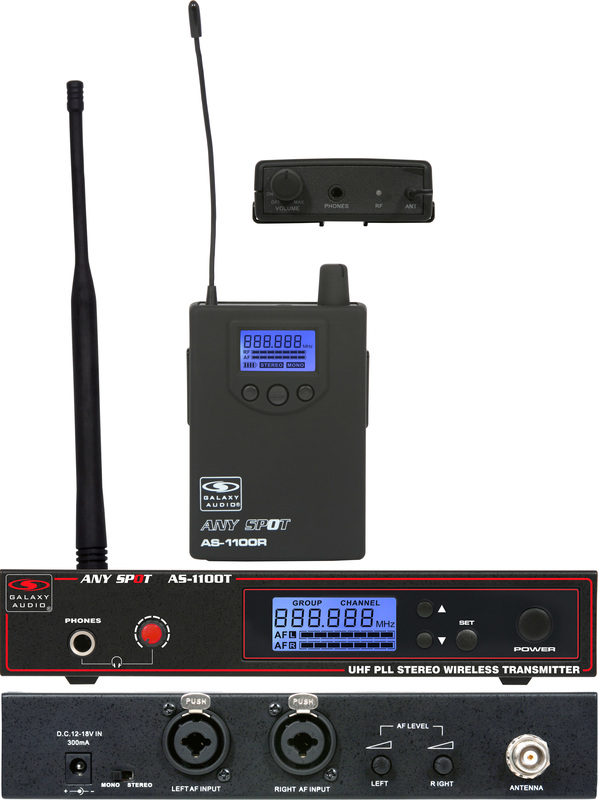 The MREWD allows for racking a single or two wireless in-ear monitors systems or wireless mic systems in a 1U space. 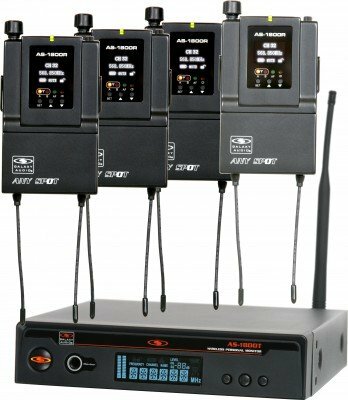 Works with PSE, DHX, CTS, AS-900, AS-1100, & AS-1400 systems. I was so impressed with kelsey and the service department at Galaxy! I have the 1100 and it quit working at a show. I struggled through it, things break it happens. I called support the next day and had to leave a message. I was a little nervous that there was no one there to answer my call. Well 30 minutes later I received a phone call back. She walks me through sending it in for repair. I have it back in 4 business days oh and there was NO CHARGE! These guys understand working musicians. I will always buy Galaxy! This has been a great unit. I have the L-Band unit that advertises 655-679MHz. 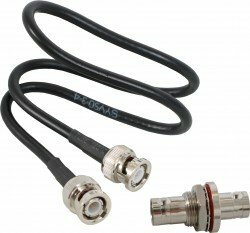 There is no Groups/Channels in the 679MHz range. Should have been advertised as 655-678MHz. Other than that. Would love to see a unit that does auto-scan to find a clear frequency.